Due to high interest additional sites have been added to the ‘Marble Foyer’. Scattered delegate seating and drink stations will be located in this area however catering buffets will only be located in the Banquet Hall. Catering will be situated to maximise delegate flow throughout the exhibition. The exhibition floor plan is subject to change without notice. The floor plan is not to an exact scale, but accurately represents the relative position and sizes of exhibition spaces. All corner booths will have the side wall removed unless expressly requested to remain. Flooring: Sites 29 to 31 in the Marble foyer will be on polished concrete. The Banquet Hall is made up of polished timber (sites 01 to 17) or blue carpet (sites 18 to 28). Ceiling Heights: Standard height of all booth structures is 2.4m. Custom sites please keep in mind the ceiling in the Banquet Hall over the blue carpet area is max 3m (this affects sites 18 to 28). Site located in the Marble Foyer also have some height restrictions so if building a custom site in this area please check with us. 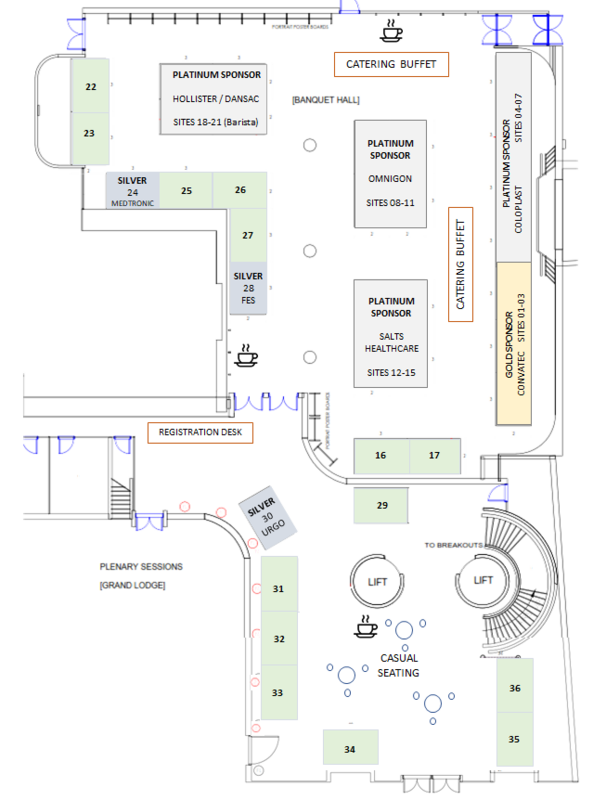 Site Numbering: Please do not advertise your site number to delegates until the final floor plan is released. Unsold sites will be remove and the plan renumbered before the conference. Complimentary wireless internet will be available. While we are not intending to hold any events at these times, we cannot guarantee that other groups may not. If you wish we would be happy to list your event on an ‘Industry Events’ page on the conference website with a brief overview and details on how delegates can book. Please let me know if this is something you would like to take advantage of. Please contact the conference manager anna@conferencedesign.com.au to have your event added to this page. All exhibitors will receive a list of delegates in excel leading up to the conference that includes name, position, organisations and state/country, except where delegates have asked to be excluded. As per Australian Privacy Laws no contact details will be included in this list. However delegate name badges will incorporate a QR code that you may scan through the delegate app to collect contact data where allowed by the delegate. You can then log into your booking to generate a list of these contacts. Conference Design will contact you in the last two weeks prior to the conference to provide details on how this lead generation works. 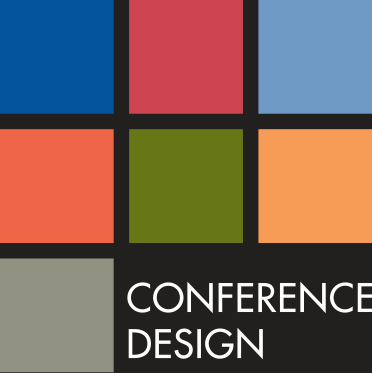 Please contact Anna Boyes at Conference Design to discuss supporting the Meeting. Address: Upper Basement Loading Dock, 66 Goulburn St, Sydney NSW 2000. Please note there is a 2.9 metre height restriction and there is no pallet jack or fork lift on site. Once you have unloaded/loaded, your vehicle will need to be moved to a car park. Please ensure you read the Loading Dock Access information sheet below before the event. ExpoNet is the appointed local exhibition supply company. 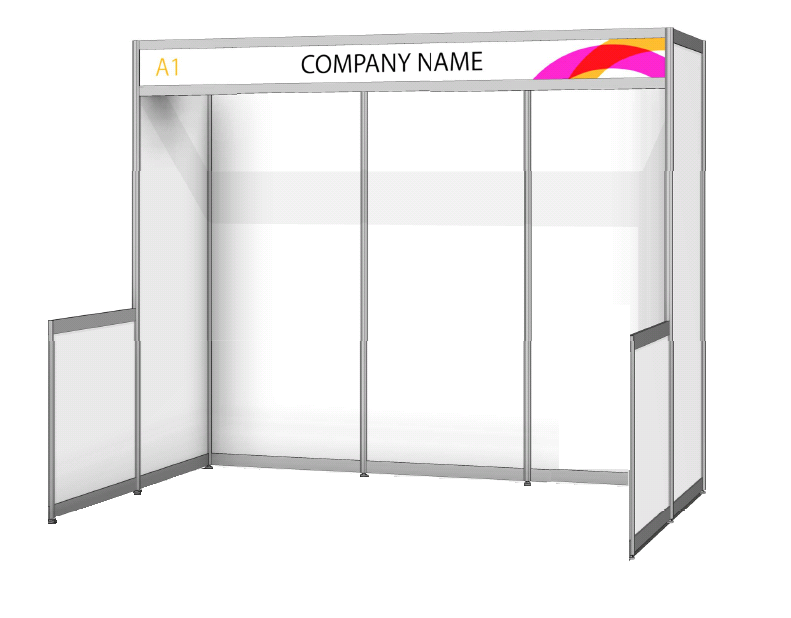 ExpoNet supply exhibition booths, furniture hire, fascia/name board, lighting & power, signage, audio visual, plants, custom stands. ExpoNet also have trades people available if you require assistance with installing custom stands and also with custom stand builds and concepts. Contact Julia Lerch – Exhibition Coordinator for your booth, furniture and AV requirements. Goods will only be accepted between the hours of 8am and 4pm, three working days prior to the event. An app based game will be run to encourage delegates to visit and interact with the exhibition. Delegates will use their smart devices to collect QR codes from each exhibiting company until they have collected the full list of conference keywords. Then they will go into the draw to win prizes during the plenary session on the final day. Donate a prize: The Organising Committee appreciates donations of prizes from the exhibiting companies for this game. To register a prize please contact the Conference Manager. Prizes will be collected from participating stands on Monday 20th May 2019. If you have purchased a Satchel Insert or have one included in your package please use the delivery label below to send the inserts to the venue by 16th May 2019 at the latest (350 units required). *Branded collateral must be approved by the conference secretariat prior to delivery. Delivery to the venue using the label below by Thursday 16th May 2019.